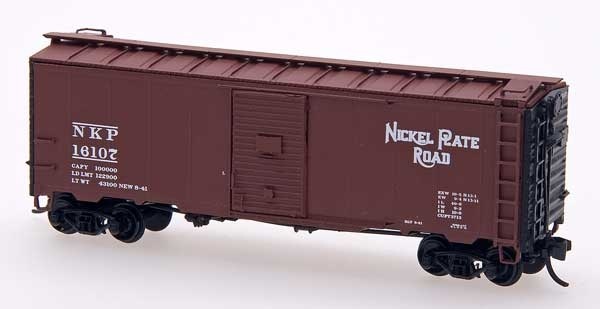 This N Scale 1937 AAR 40’ Boxcar is painted oxide red with a simulated galvanized roof. The Minneapolis and St. Louis lettering is white. The model is equipped with MicroTrains® trucks and couplers. This N Scale 1937 AAR 40’ Boxcar is painted oxide red with black ends. 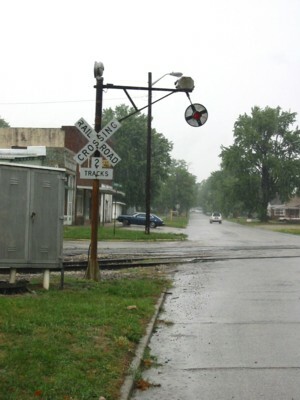 The Nickel Plate Road lettering is white. The model is equipped with MicroTrains® trucks and couplers. This N Scale 1937 AAR 40’ Boxcar is painted oxide red with white lettering. This car has a red, black, and white monad with the ‘Main Street of the Northwest’ slogan. The model is equipped with MicroTrains® trucks and couplers.